Indian writing | The Book Cafe! Blurb Appreciation Reviews presents its third review! The blurb at the back of Neel Kamal Puri’s novel, The Patiala Quartet urged me to buy the novel. Of course, it helped that the book was on sale. But nonetheless, it aided me in understanding what the book is about rather than irrelevant praises that do not allow one to know what the story is about! So lets see the blurb, shall we? Books can have many different functions. They can moralise, instruct, take you to places and enable you to engage in vicarious travelling. But there are some books and stories that can just put smile on your face and simply please you for a long long time. Ruskin Bond books are something like that. They aren’t great works of literature (not were they written to be) but just the ordinariness of it can be (to use a oft used cliche) extraordinary! Plus they help in vicarious travelling. That, friends, can be the best book ever no? So it is time to go pick up a Bond book incase you missed out on your yearly dose of travel this year! 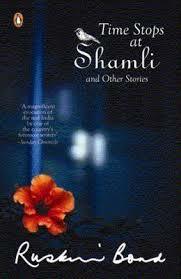 Here is one with 21 short stories called: Time Stops at Shamli. It is a quick read, the kind that you can read on a realllly long train journey or if you simply want to get away from the mundane life as you trudge your way back from office to home everyday. All the stories are imbued with the everyday stories of everyday, ordinary people that could be you or me which is why anyone can connect with them easily. In their quotidian existence, several facets and truisms of life are revealed. But no, Bond does not moralise but merely shape the stories and it is for us, the readers, to take away from it, gems embedded in them. For instance, stories like “The Room of Many Colours” or “Most Beautiful,” talk about celebrating difference in a subtle manner almost imperceptible and who hasn’t known the pain yet beauty and courage of going/being against the norm and experiencing the different worlds. It is nigh impossible to write a summary of each short story here without making the review look like a grocery list. But suffice to say that each story has its own charm, ingenuity, shrewdness and the hallmark of Bond: an omnipresent simplicity. So there’s a spooky ghost story to scare the daylights out of you, a story told from the perspective of the crows, about the poisonous schemes of relatives, about the importance of trees (told indirectly), about the ordeal of the migrants and the sense of loss and belonging (but narrated in less sentimentally than I have put it), a mystical transfiguration story with the perfect setting of the moon and the mountains and several more. The eponymous story again highlights the urge, temptation to do something against the grain, to go somewhere not known, to take a path less traveled (literally; you will see what I mean when you read it!). So dig in into the many worlds of each story, relax and let a smile linger on. For more Ruskin Bond reviews on this blog, click here. 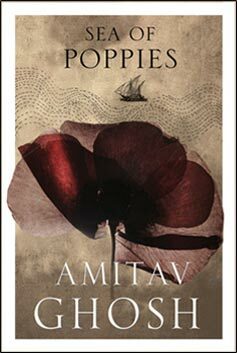 While ‘Sea Of Poppies’ focused on the opium trade, with Ghosh sailing the story across so many myriad, interesting characters brought together by that one single drug; ‘River Of Smoke’, the second book in the Ibis trilogy, zeros in on the merchants directly involved with the opium trade in China and how the Chinese Emperor’s strict rules to completely ban its trade affected them. So, ‘Sea Of Poppies’ ended with the Ibis’ course upset by a storm which allows a few men-including two prisoners- to escape. The ‘River Of Smoke‘ starts, like the first one, with Deeti in a very distant future(the exact date is not mentioned) in her shrine of images. Deeti reminisces about the images and how each one was drawn by many different people she had known aboard the Ibis. She remembers how Neel had drawn the picture of Ah-Fatt’s father with his ship,Anahita, behind. Ah-Fatt was one of the prisoner on the Ibis and his father was an immensely rich, Bombay Parsi merchant- Bahram Modi.Then the novel goes into flashback tracing Neel’s life after the Ibis. He ended up in Macao and then was able to procure a job as a munshi with Bahram Modi. So he sailed away to Canton where all the opium merchants had their quarters in. From here on, ‘River Of Smoke‘ mainly focuses on the story of Bahram Modi-his predicament of not being able to sell his latest opium goods because of the tightening Chinese rules against its trade, his manners, his lifestyle, his position in a white dominated world, his desire to be independent economically from his rich in-laws,his love for a Chinese boat woman etc. The characters of the previous book make fleeting appearances such as Zachary Reid and Baboo Nob Kissin. Others characters’ stories like Paulette’s runs parallel to Bahram’s story. An equally more number of characters are introduced in the novel. The most vivid are the the numerous British merchants that are blinded by their contorted ideas of free trade and spend countless evenings arguing about the need for opium’s trade. 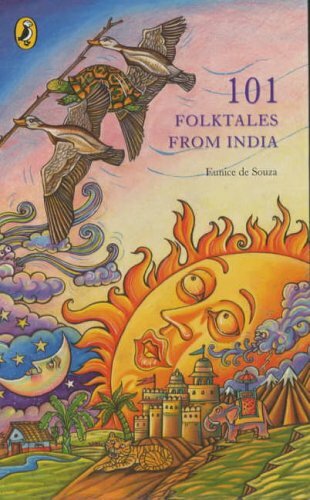 The other memorable ones include-Vico who is Bahram’s purser, Fitcher Penrose-a botanist in search of the elusive Golden Camelia with Paulette on his ship, Redruth,Charles King-a British who opposes the opium trade vehemently and Robert Chinnery,a famous artist’s son whose letters to Paulette light up the narration every now and then. Unlike, ‘Sea Of Poppies’, this novel does not meander a lot to other characters’ situations and circumstances but Ghosh weaves them together with Bahram’s problems and the Chinese crackdown on opium’s trade. 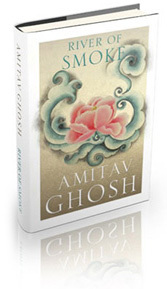 However, like the last one, ‘River Of Smoke‘ is suffused with ample of details that are a testament to Ghosh’s love for research in his novels. Canton, particularly the fanqui town, which is the center for the foreign traders but is outside the city limits of Canton itself, is vividly described. Nonetheless, the fanqui town is an animated enclave with all sorts of services available for everyone. It is a self-sufficient enclave. The reader will be left mesmerized by the variety of people, food, clothes etc. They will be caught up in the frenzy pace of its lifestyle and overwhelmed by such a unique, vibrant amalmagation. ‘River of Smoke‘ ends with the Chinese authorities being able to force the Canton traders to surrender their opium goods which are then burnt by the former. However, the British would not, owing to their colonial superiority, accept such humiliation. Thus the novel ends at a juncture when it is is poised for the opium wars. Infact, after the burning incident, the narration jumps back to Neel in Deeti’s shrine talking about how Kalua and Jodu fought in those very wars. This foreshadows what will perhaps be the focus of the third book in this trilogy. ‘River Of Smoke‘ is a a beautiful novel which brings together a history of the forgotten, of those who are on the fringes, who were despite their marginalized status affected by the opium trade. The trilogy effortlessly moves from the country of its production to the centre of its trade in China illuminating along the way the hundreds of lives it changed and tied together in a familial sort of manner. ‘The Last Song Of Dusk’ written by Siddharth Dhanvant Sanghvi is a beautifully conjured novel, a moving tale of singular people and their extraordinary lives. 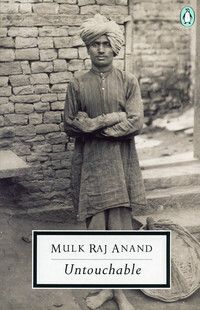 The novel begins in the early 1900s’ with Anuradha’s story. She is going from her hometown Udaipur to Mumbai to meet Vardhaman Gandharva, a potential marriage partner. Just when it seems that things may not work out, Vardhaman openly admits his love for her and they predictably get married. Their love blossoms splendidly like a lovely flower. However, later, an unforeseen tragedy strikes them both tearing them asunder and changing Vardhaman irrevocably. Anuradha goes back to Udaipur where she dabbles and masters over the music and the wondrous songs that are an integral part of her soul. In the course of this stay, she meets other extraordinary people like Nandini who is an unusual artist and an even unusual woman having her own tragic tale. Will Anuradha and Vardhaman overcome the tragedy that ripped them apart? Will their love blossom fruitfully once again or will it be lost forever? ‘The Last Song of Dusk’ abounds with comparisons which increases the depth of the emotions, thoughts, situation etc., helps in understanding it better. The novel is replete with romanticized descriptions. Sanghvi has a very flowery style of writing. He infuses great grandeur and oodles of opulence not only in the story’s setting but also in the copious descriptions. Everything in the novel is exquisite. There is great abundance whether it is the character’s emotions, the royal settings of Udaipur or British city of Bombay or just the physical beauty of a human. Everything is made out to be insanely beautiful and he uses exquisite words and expressions to convey that beauty to the reader. For eg, pashmina of exquisite remembrances. (pg. 80). There are instances of magic realism suffused in the story. Sanghvi has also made music an important part of the story. It is manifested literally in the many songs, symphonies and musical instruments that are described. There is also a certain kind of vibrant and even melancholic musicality in Sanghvi’s writing that is hard to miss or dislike. There are certain sexist stereotypes that the books has-like Anuradha’a need for marriage, the tiffs between her and her mother-in-law etc. Granted that the book is set in the 1900s’ where woman were treated inferior but if Anuradha can be bold enough to leave her husband’s house, Sanghvi should have been bold enough to write something more than the overemphasized importance of marriage in a woman’s life. Leaving that one negative point aside, ‘The Last Song Of Dusk’ is undoubtedly a marvelous debut that spins together a lavish, grand love story that is bound to charm any reader. It is not the usual tale of love and sorrow, of man and a woman being in love, being happy, having troubles and reconciling them. It is much more as it infuses a portrayal of different sides and aspects of that one ubiquitous emotion called love. The novel reflects and gradually reveals layers and layers of that emotion between Anuradha and Vardhaman and other characters too like their son-Shloka or Nandini’s idea of love and safety etc. The reader, if attentive enough, can easily pick on these ideas, learn that love can have two sides just like anything else and know that it can teach us all one lesson or two. Its a poignant love story that depends on the stark emotions for its narration; its beauty, its invulnerability, its vulnerability, its magic, its pain and countless other things. It is painfully beautiful, musical and aptly touches the right chord in the reader’s heart. 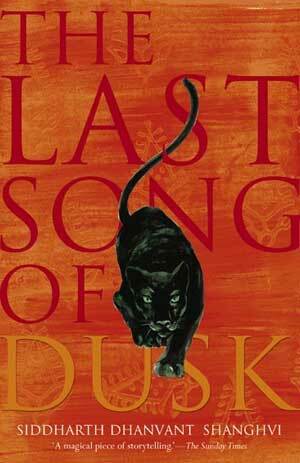 ‘The Last Song Of Dusk’ is one story that will be in the reader’s heart long after its been perused. 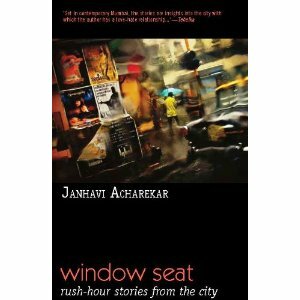 For me, Indian Fiction is irresistible and Jhumpa Lahiri’s writing draws me, attracts me to read her novels. I had read ‘Namesake’ which was an excellent book with a rare story of Indian immigrants in America. ‘Unaccustomed Earth’ is pretty much written on the same lines with the only exception that it is not a novel but a collection of short stories. Its worth spending your time and money over and its a really wonderful read. The book is divided into 2 parts with Part One having 5 short stories about Indian immigrants of different age, gender, generation and they are all set all over the U.S. While Part Two is a short immigrant love story of Hema and Kaushik. In Part One, the first story ‘Unaccustomed Earth’ is about a husband and his daughter coping with the wife/mother’s death and how her death allows him to travel while the daughter worries about taking care of her father. In the second story, ‘Hell-Heaven’, a married woman falls in love with a younger man who does not reciprocate this love and instead marries an American. ‘A Choice Of Accommodation’, the third story narrates the loss of love between a married Indian-American couple and how they regain that love. The fourth one, ‘Only Goodness’ is a story of a sister trying to protect her brother from alcoholism yet shunning him away at the same time because of his addiction. It gives a curious look at brother-sister relationship. The last story,’Nobody’s Business’ is a singular story of an Indian woman living as a roommate with Americans who is in love with an Egyptian. Part Two has three chapters which narrate a singular love story that develops between Hema and Kaushik over the years yet ends in tragedy. The first thing that hits the reader in the face is that these stories do not have a rosy picture. There is a fragmented despair and utter sadness and even isolation and depression that pervades each story. They do not have a single aspect of the American Dream. There is conflict in each story, a loss of identity, a strong sense of disillusionment or even anger. 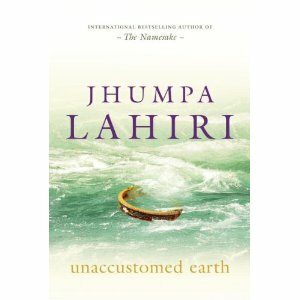 ‘Unaccustomed Earth’ provides harsh glimpses into the immigrant’s world which is unexpected as the majority of readers would expect a happy, better life in America than in India. Materially, the families are well off in each story but never emotionally or spiritually. Although ‘Unaccustomed Earth’ is a collection of short stories, the characters really come alive in each of them. Jhumpa Lahiri’s fine writing brings out nuances, peculiar qualities, different characteristics that makes the reader easily form a good picture of the characters in their mind(just like in ‘Family Matters’ by Rohinton Mistry). 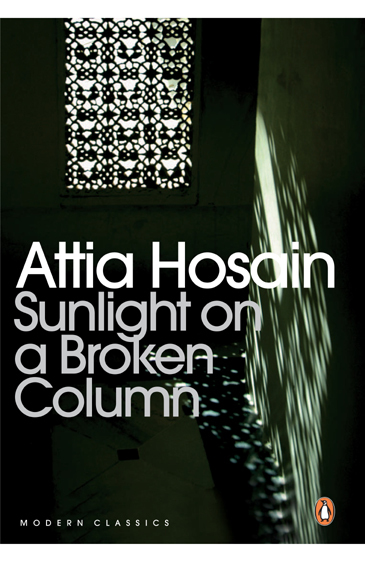 Her writing is undoubtedly superb and elegant. It effortlessly captures the essence of Indian immigrant life in America (just like it did in the ‘Namesake’) Its a definite must read for all lovers of Indian fiction writing and for all those who love literature. One warning for all who want to pick up the book to read: ‘Unaccustomed Earth’ requires a great deal of concentration and it is not our typical kind of ‘happy’ book, so for those who want to peruse only for fun and past time, please don’t bother to read ‘Unaccustomed Earth’. 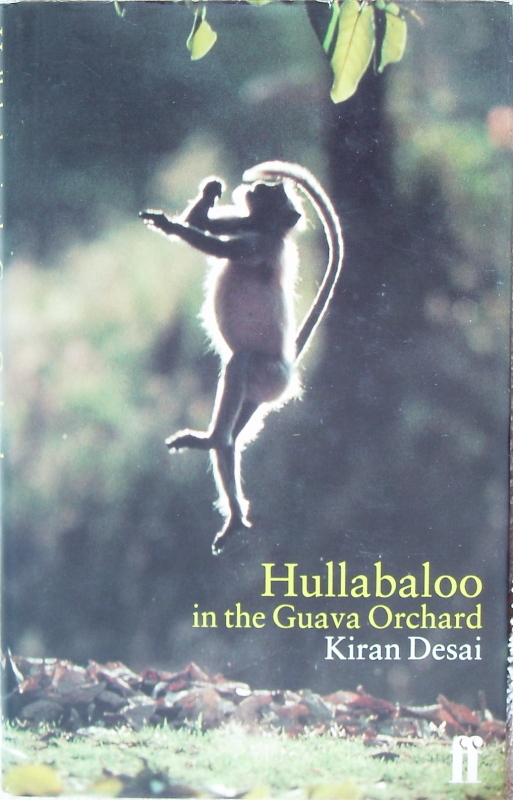 For others who would love to venture beyond the usual, stereotypical books, might find this book just right!